an EFM-100 Atmospheric Electric Field Mill directly to your computer's USB port using a single device. 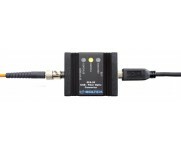 The EFA-21 is designed to provide both power and data through a single Cat5 cable which eliminates the need for the additional fiber optic cable so that only a single Cat5 cable is connected from the EFM-100 to the adapter to provide both power and data. 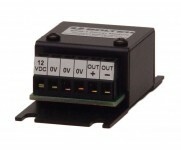 The EFA-21 RS485 to USB output is designed to work mainy with the EFM-100C and EFM-485 models. 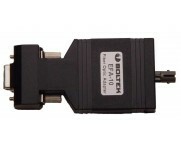 It can be used as a power source for the EFM-100A model, and provide analog output on the terminal block but does not does not provide any data output on the USB port. It is recommended that the EPM-1 and EFA-10/EFA-20 are still used with the EFM-100A.